Your mom will feel so special and loved when she opens this gift from you, it's just the little sentiment she wants to hear. Made with clay, paint and love, my one of a kind gifts are sculpted from start to finish by me in my Colorado studio. Each piece is individually painted and varnished. 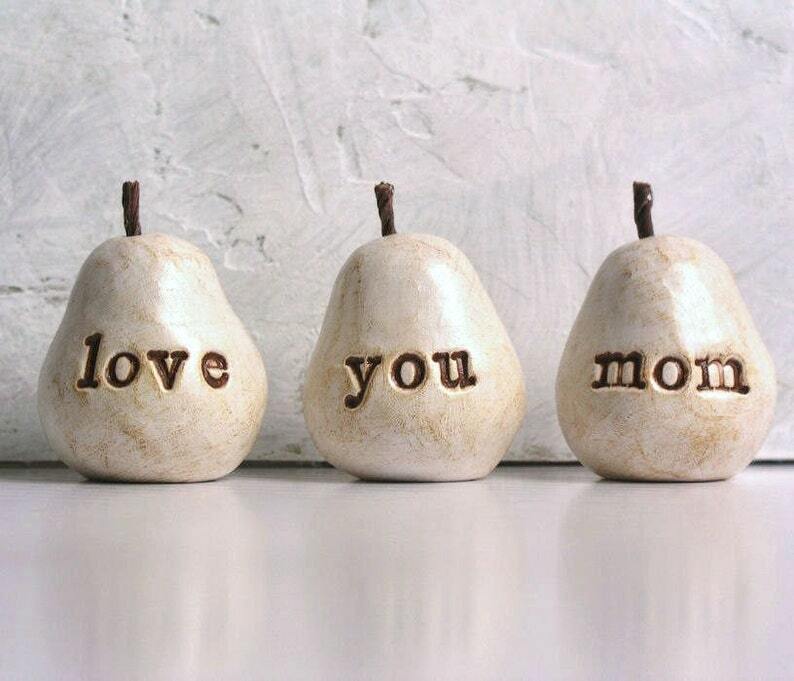 No two are ever exactly the same, each one is a unique piece of art with a personal message to your mom. Just line them up on your mantle, somewhere in your cubicle, a window sill, just about anywhere for instant cuteness. You won't be able to stand it. Each pear is about 2 1/4" high x 1 1/2" wide. These are adorable! I love them! Super fast shipping too! Definitely will shop with again! These are smaller than I expected which is a good thing. They are so adorable!! First, I can't believe I received this product two days after I ordered! Secondly, the pears themselves are absolutely adorable. Thanks for such great service and creating such a lovely gift for my mom!